The 4th entry into the Class of 2007 IYH Fan Hall of Fame is Rogue. Rogue is one of the original IYH fans and members of the message board. She was our first female fan of the show as well. Rogue has been very supportive of the show on the board and off. She has donated time, with writing up the messgae board questions for us, and her money as one of the top donators to the site. Her contributions to IYH go way beyond monetary though. She listens to every episode and has even played them for non wrestling fans at work. She is a long standing member of the message board and one of the most active members, primarily in the "Voices In Your Head" section, once again showing the importance of non wrestling related material to the success of IYH. Rogue is also one of the few members to have conducted a shoot interview and also been interviewed for one. She is always a participant in the famed Heady awards, where she has taken home several of the awards herself. We thanks Rogue for her long support of the show and all 3 hosts. We honor her today with this induction into the IYH Hall of Fame Class of 2007. Is it time to end the Game? The 3rd inductee into the Hall of Fame Class of 2007 is Xtremefalls43. One of the staples of the IYH message board is the man known as XT. The winner of the Message Board MVP in the 2006 Heady's proves his importance and dedication to the IYH community. It can be said he is the most active member of the wrestling sections on the IYH message board, bringing in news that we often use and discuss on the live show. As well as voicing his opinions. XT is not without controversy. As he can be very opinionated and fed up with what he considers "idiots", "marks", or posters he feels are using IYH for their own personal gain. This has also brought XT Feud of the Year in the 2005 and 2006 Headys. His flame wars with several members of the community are legendary. XT's love of IYH can not be questioned. An avid listener of the show, active board member, sometimes caller and also a columnist for the IYH site. Which can be read in the Xtremeview section of the website. Love him or hate him, you can't deny he is a vital member of the IYH community. For his loyality as a fan of the show we welcome Xtremefalls43 to the IYH Fan Hall of Fame Class of 2007. The next inductee into the IYH Hall of Fame Class of 2007 is Slartibardfast. A long standing member of the IYH message board is also a regular caller and chat room participant. Slarti can normally be seen hanging out with the "Voices in Your Head" crowd on the IYH message board. Slarti shows the importance of the off topic nature of IYH, with his often humorous posts about non wrestling related news often about new gadgets and the world of sci fi. Slarti unlike some at the IYH board rarely participates in flame wars or insults which brought him a Heady Award for Baby Face of the Year in 2006. Slarti's love of IYH has led him to several columns on the IYH website. 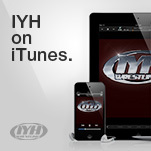 The IYH PPV recaps by Slarti are often the most informative and entertaining PPV recaps on the net. Slarti has also taken it upon himself to give IYH fans live PPV play by play on the IYH message board, where all fans can read what is going on and interact with their thoughts as well. For all Slartibardfast has done for IYH, and for his passion for IYH the show and message board, we here at IYH thank him with this honor. Welcome to the IYH Fan Hall of Fame Class of 2007 Slartibardfast. 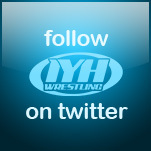 Buck Winchester as part of the Class of 2007 has been inducted into the IYH Fan Hall of Fame. A long time fan of the show, Buck made his debut with a bang taking home the first ever Rookie of the Year trophy in 2005. A member of such memorable message board groups like Team Straight Pimpin, Buck's Bonanza and Wally Corp, Buck has a strong alliance with fellow hall of famer The Flea. Through out the years we have seen Buck grow as a man and as an IYH fan. Not long after winning the ROTY, Buck went on to co-host a special Wrestlemania Edition of IYH. Buck has won many Heady Awards, as well being the model for the ROTY trophy in the 2006 Headys. Buck is not without his share of controversy, as he had at many times quit the IYH message board, only to come back stronger than ever each time. We here at IYH would like to thank Buck for his years of support, and honor him with yet another achievement here at IYH. We hope to see Buck continued success in the years to come. Your first entry into the Class of 2007 IYH Fan Hall of Fame...Buck Winchester.